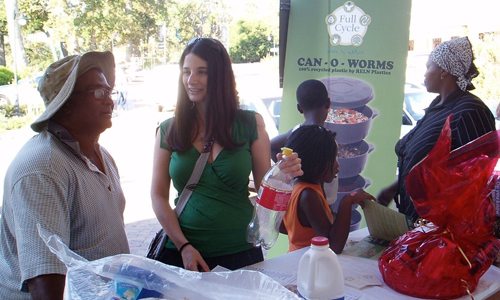 In 2008 together with the 3Rs we created a campaign to raise awareness about recycling at the Hout Bay depot and launched a neighbourhood recycling initiative. A recycling drive was set up at local shopping centres and we created recycling information posters and leaflets that were used to inform the public about the initiative. They were also distributed to the 3Rs school recycling program. We also set up and co ordinated a paid recycling collection through surrounding neighbourhoods, as at the time there was no Municipal collection system. This business development project generated additional income for a small refuse and rubble removal team, Busy Boys. Busy Boys collects recycling and takes it to the local co-operative run Depot where it is sorted and sold on. 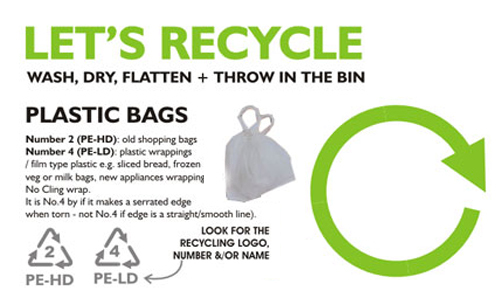 The campaign was a huge success and 2 – 3 tons of waste is diverted from landfill to the recycling depot each month. Over the years HBR has grown into a fully fleged community initiative under the guidance of the dedicated people of 3Rs. In 2010 we returned to the project to document the work of the Hout Bay Recycling Team and the 3Rs. 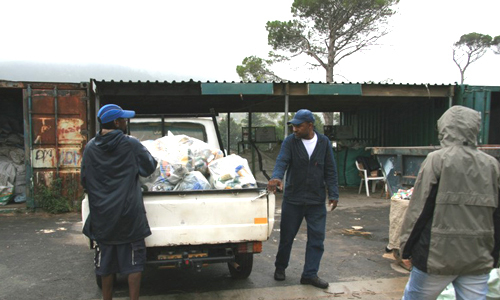 Team at Hout Bay Recycling Depot have are working hard to keep our waste out of landfill and achieve the goal of Zero recyclable Waste to landfill in 2010. We go behind the scenes at the Hout Bay recycling depot to meet the team who are Last year, this co – operative of 11 people won the Jet Community award for environmental waste management, since then they have been using their prize winnings to improve their recycling operations. They have even started a beach clean up and dog poo composting service as well as pioneering a recycling collection in Imizamu Yetho.